How do you know if you need a new roof or a roof repair? There are many signs of a failing roof that you need to be aware of. Discovering these WARNING SIGNS can save you tens of thousands of dollars in home repairs. See images and descriptions below. If you feel that your roof is showing any of these WARNING SIGNS listed below, please contact Bunnell's Home Improvements, Inc. right away. 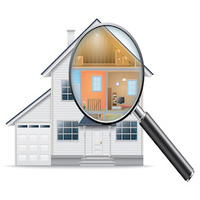 We provide free roofing inspections and consults throughout Massachusetts and Connecticut. To get started, click on the button below to request a roof inspection. Leaky or inadequete shingle underlayment or detoriorated flashing. Inadequate shingle underlayment. Allows water from ice to leak into attic. Excessive temperature or humidity due to poor attic ventilation. Inadequate or faulty shingle underlayment allowing leakage or inadequate ventilation. Shingles have reached the end of their lifespan and have to be replaced. Excessive temperature with poor attic ventilation. Age of shingle approaching end of lifespand. Insufficient attic ventilation / insulation.